Since its creation in 2009, Minecraft has gone on to become an extremely popular game with over 121 million copies sold as of February 2017. One of the biggest appeals is the ability to create expansive worlds, like making a 1-to-1 replica of Vienna. With all this creative potential, many users have created amusing videos of their adventures, from unique dance parties to comedic scenes found nowhere else. This video takes a witch, some zombies and an enderman to create an amusing international dance-off. 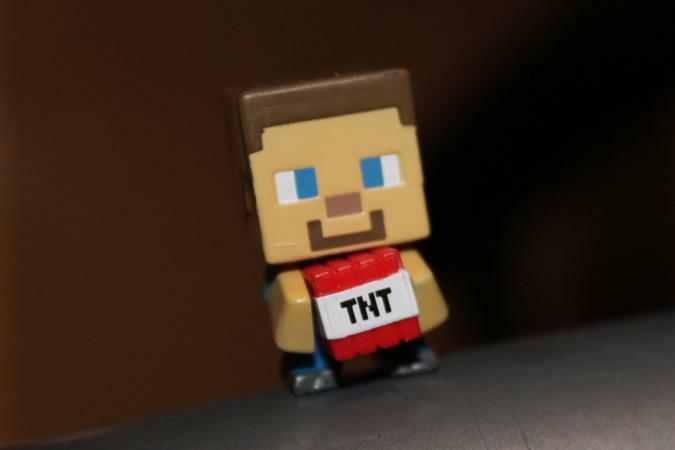 DanTDM shows viewers what it's like to play the game as a creeper with hilarious consequences. Watch this amusing re-imagining of Minecraft characters in a reality talent show scenario. The iconic opening to The Simpsons television show is lovingly recreated in Minecraft. Any dad trying to show his daughter how brave he is in the face of spiders will relate to this funny short. What would happen if Minecraft blocks were alive and got everything they wished for? During his visit to the zoo, Billy learns an important lesson about the notorious behavior of llamas. A bumbling hero tries and fails to walk on water. The introduction of iPhones to the world of Minecraft seemed perfect at first. Soon afterwards, the terrible consequences begin to take shape. Alex and Steve try to stop a pair of miniature thieves. With an average of 55 million players every month and more joining all the time, Minecraft has truly arrived. The game allows users to walk the fine line between player and participant, creator and consumer. With an ever-expanding range of mods, skins and player-created content, funny Minecraft videos will only get funnier and more complex as time goes on.